CARBONDALE, Ill. -- Southern Illinois University Carbondale joins the Southern Illinois Flute Society in welcoming Gary Schocker to the 2011 Fall Flute Fest this weekend. The highlight of the festival is the free concert beginning at 2 p.m. on Sunday, Oct. 23, in the Old Baptist Foundation Recital Hall. 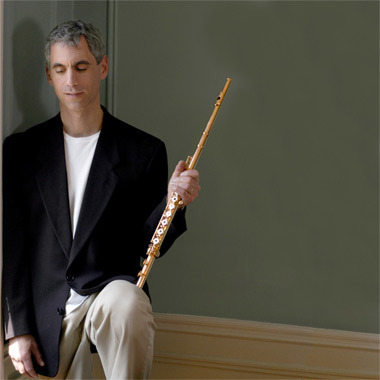 The concert features Schocker playing his own compositions for flute and piano. SIU Carbondale School of Music faculty members Paul Transue (piano) and Douglas Worthen (flute) join him. Schocker also offers a master class during his visit, with various topics offered throughout the day. Same-day walk-in registration is $15 for high school students and $25 for community members. SIU Carbondale students should contact Worthen. Schocker, currently a faculty member at New York University and a private flute instructor, began his professional career at 15, debuting as a soloist with the New York Philharmonic and the Philadelphia Orchestra. Since then, he has captured numerous awards and traveled many miles as he tours in Europe, Central and South America, Asia and Australia as well as widely in North America.